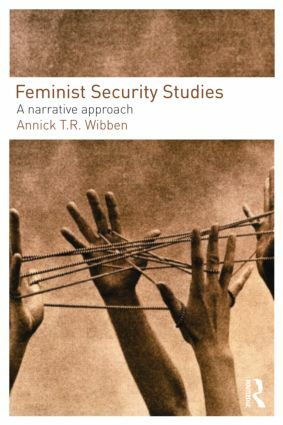 This book rethinks security theory from a feminist perspective – uniquely, it engages feminism, security, and strategic studies to provide a distinct feminist approach to security studies. The volume explicitly works toward an opening up of security studies that would allow for feminist (and other) narratives to be recognized and taken seriously as security narratives. To make this possible, it presents a feminist reading of security studies that aims to invigorate the debate and radicalize critical security studies. Since feminism is a political project, and security studies are, at their base, about particular visions of the political and their attendant institutions, this is of necessity a political intervention. The book works through and beyond security studies to explore possible spaces where an opening of security, necessary to make way for feminist insights, can take place. While it develops and illustrates a feminist narrative approach to security, it is also intended as an intervention that challenges the politics of security and the meanings for security legitimized in existing practices. This book provides develops a comprehensive framework for the emerging field of feminist security studies and will be of great interest to students and scholars of feminist IR, critical security studies, gender studies and IR and security studies in general.